Tokyo's new Mori Building Digital Art Museum rivals Yayoi Kusama’s Infinity Mirrors with its selfie-worthy art. 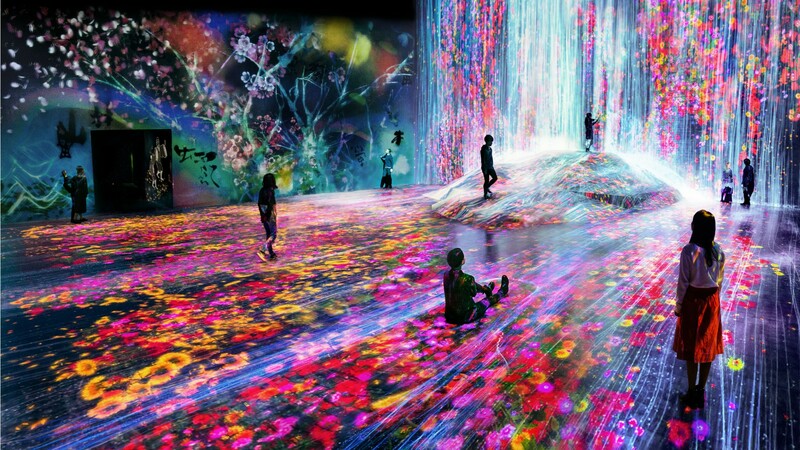 The Mori Building Digital Art Museum, which opened on June 21, is the first permanent space exhibiting pieces from the art collective teamLab, a group made of up of artists, programmers, animators and engineers. Developed in collaboration with landscape developer Mori Building Co., the 10,000-square-foot museum uses 520 computers and 470 projectors to build more than 50 exhibits that move, change and interact with viewers. There are minimal boundaries between each of the pieces, with works overlapping one another and stretching beyond their individual installation rooms. The result is a flowing, immersive experience, where viewers are part of the art. Examples include a space filled with hanging lamps that illuminate when visitors approach and digital walls featuring flowers that fall when touched.